Stephanie Shepherd is the newest COO of Kardashian West Brands. Say what you want about Kim Kardashian, but there’s no denying the reality TV queen’s business prowess. Fortifying an empire, however, takes a lot of work—and it doesn’t matter who you are, you can’t fly solo if you want to stay on top. Enter Stephanie Shepherd. If Keeping Up With The Kardashians is one of your guilty pleasures—girl, same—then you probably see Stephanie in the background during some of the family’s most dramatic scenes. But what do we really know about her? 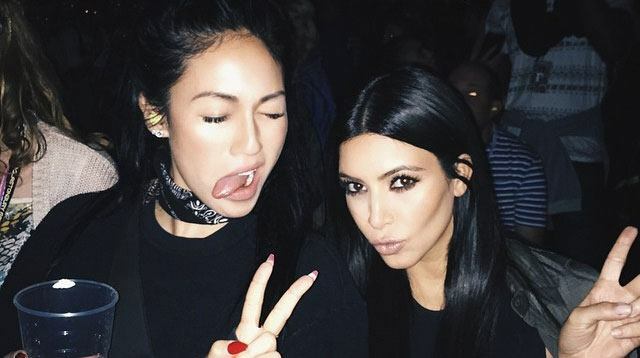 How did she end up being Kim Kardashian’s right hand? Soon after moving to LA, Stephanie dropped her part-time gig at the front desk of Gold’s gym to work as an assistant to choreographer Mikey Minden. Eventually, she befriended former Pussycat Doll Robin Antin, who was close friends with Kim Kardashian. Read the full interview on Refinery 29.